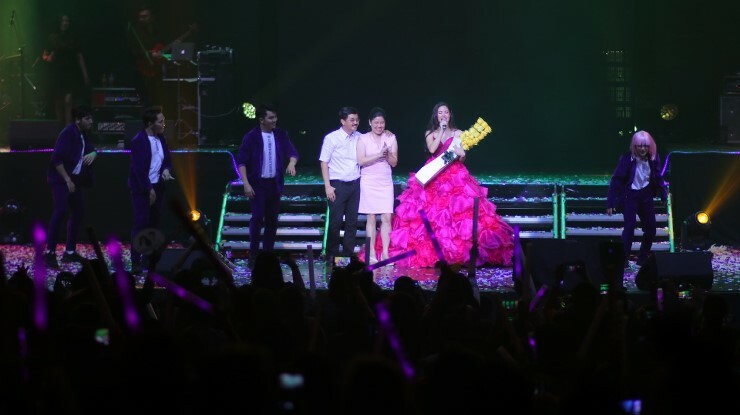 Last Saturday, February 24, Star Music artist Kisses Delavin finally held her very first concert entitled “Confidently Kisses” at the Kia Theatre. 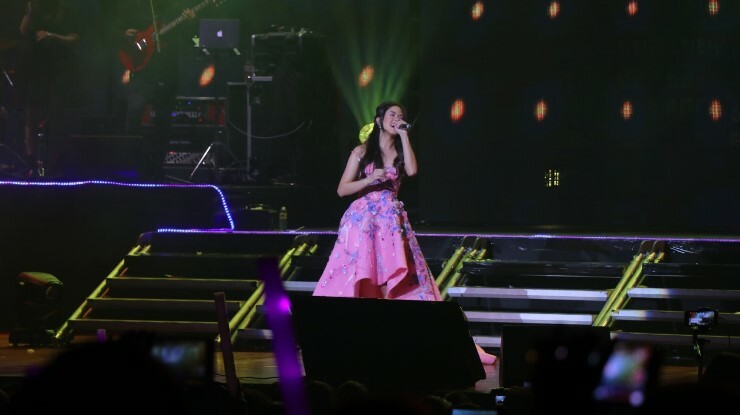 Attended by her friends, family, and army of supporters, Kisses’ concert lived up to its name. From the get go, the show was ambitious with the Pinoy Big Brother alumna entering the stage on a massive steel star staircase coming down. But it wasn’t just Kisses’ grand entrance that’s worth mentioning. 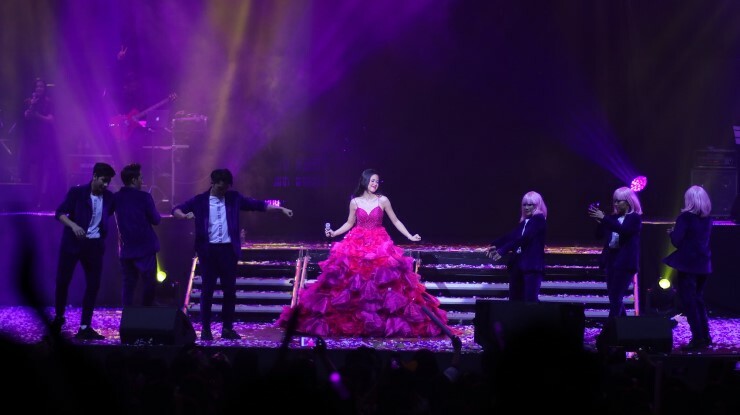 The entire concert proved to be a special stage, literally and figuratively speaking, for Kisses to showcase the multiplicity of her talents. 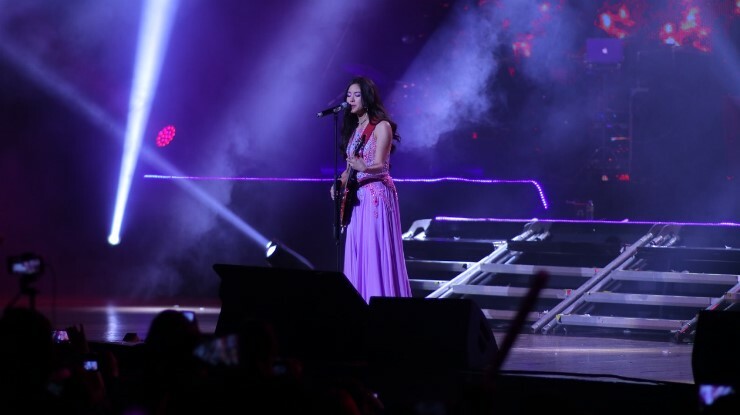 While there’s no denying that Kisses has immense charm and good looks, Saturday night’s concert showed how much music is a part of her personhood. 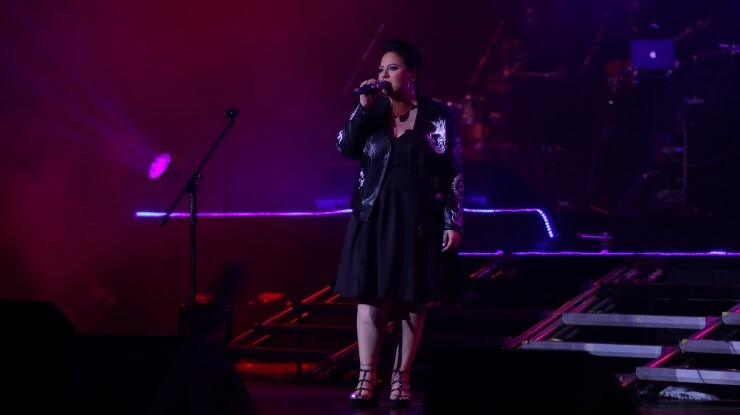 More than performing the songs “La La La,” “Di Ko Lang Masabi,” “Pretty Boy,” and “Alam Na This” from her debut album, Kisses put on display her dance moves, guitar-playing skills, and natural knack for making everyone laugh. 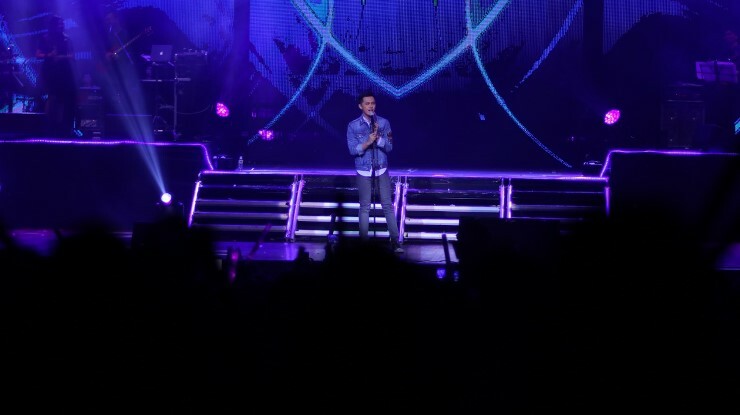 But of course, a Kisses concert would not be as such without this young man who was the special guest the crowd has been waiting for the entire evening: Tony Labrusca. 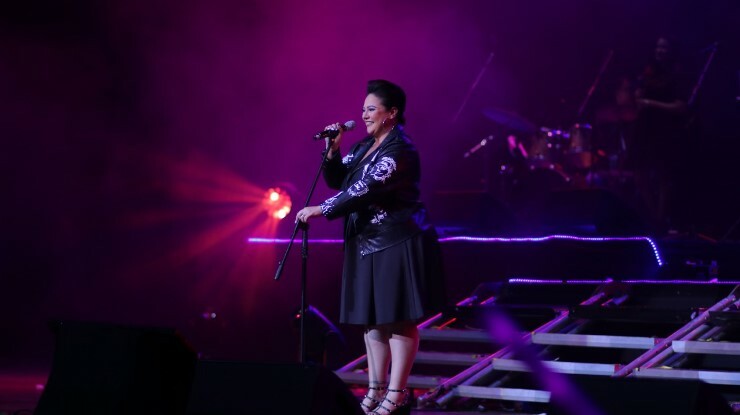 With everyone from the audience screaming their hearts out, Kisses and Tony a.k.a. KissTon performed “Rewrite The Stars” and the song and dance number looked as if it was taken from a Disney flick. Watch Kisses and Tony's performance from Confidently Kisses in the video below. Kisses is without a doubt one of the most down to earth people in the entertainment industry right now. But after Saturday night’s show, Kisses can confidently say she’s among its brightest stars. Were you at the concert? What was your favorite moment? Tell us in the comments section!